Bordeaux Vintage vs. Bordeaux Terroir with Dewey Markham, Jr.
Terroir and vintage are two of the key concepts in winemaking, but in Bordeaux they interact and express themselves in interesting and unexpected ways. This webinar will explain how each of these elements influence the style of the region’s wines to help you understand which is predominant when it comes to buying and enjoying a Bordeaux wine. Dewey Markham, Jr. has a Bachelor’s degree in English and a Master’s degree in Cinema from New York University. He is also a graduate of the Culinary Institute of America. Post-graduation, he received a fellowship as an editorial assistant engaged in research and writing for the school’s textbook, The New Professional Chef. From 1986 to 1989 Markham lived in Paris, where he was a director of the French cooking school L'Ecole de Cuisine La Varenne where he introduced a wine studies program to the curriculum. He has worked for two of New York's leading wine shops, Morrell and Company and Sherry-Lehmann Wines and Spirits; in addition, he has authored Wine Basics (published in the United States by John Wiley and Sons), an introductory book for the beginning wine drinker that has gone through seventeen printings to date. Since 1993 Markham has lived and worked in Bordeaux, where he wrote 1855: A History of the Bordeaux Classification, published in 1997 to critical and professional acclaim. It was winner of the James Beard award for wine book of the year. 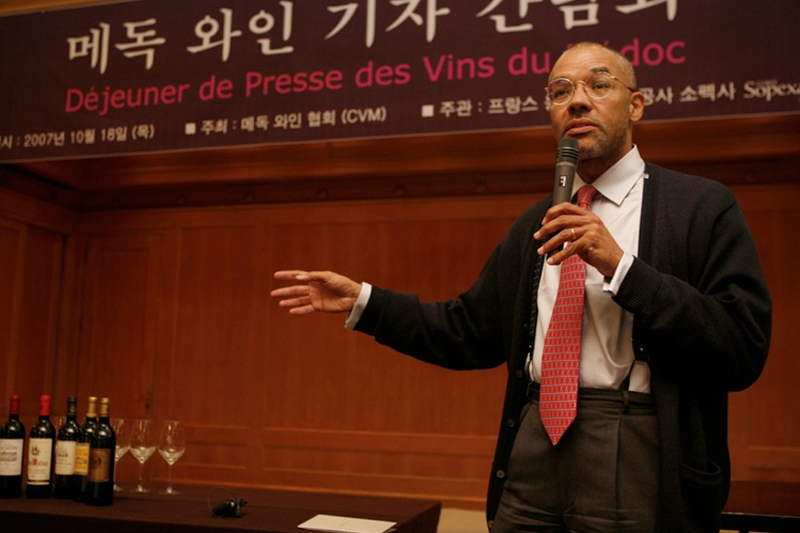 He holds a degree in wine tasting from the School of Oenology at Bordeaux University and is an accomplished lecturer on the Bordeaux region and its wines. Explore Bordeaux at the deepest level with the Bordeaux Master-Level program and and Bordeaux Study Trips. Learn more about French wines with the French Wine Scholar study & certification program.